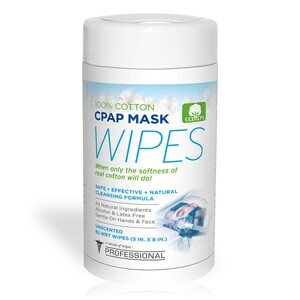 RemZzzs Cotton FULL FACE CPAP/BiPAP Mask Liners help alleviate many of the common problems -- leaks, pressure marks, skin irritation, etc -- associated with sleep therapy and CPAP/BiPAP masks. RemZzzs sit between your mask's cushion and your face, creating a natural, soft cloth barrier that feels comfortable and improves your sleep therapy effectiveness. With RemZzzs you place the cloth liner between the mask cushion and your face each night as you prepare for sleep. The revolutionary RemZzzs liner acts as a barrier between the skin of your face and the silicone of your mask's cushion. Special fibers in the liner help absorb facial oil and moisture, which helps to keep your mask operating smoothly, you resting comfortably, and your skin looking great. RemZzzs can save you a lot of time too. Most manufacturers' recommend cleaning your CPAP/BiPAP mask every day. The naturally absorbent fibers in RemZzzs act as a barrier between you and your mask, keeping oil and moisture away from the cushion. The result is you spending less time cleaning your mask, and spending more time actually enjoying all of its benefits. Can I wear RemZzzs for more than one night? Since RemZzzs is designed to absorb oil & moisture from your face, the manufacturer recommends one fresh facial liner per night for maximum effectiveness and comfort. However we recognize that each person may wear a single liner for as many nights as they personally feel comfortable doing so, or find it to still work for them. RemZzzs forehead liners are designed to be used for fifteen nights each, as their sole purpose is to aid in stability and comfort. You may use all sides of the forehead liner by simply turning over or refolding. Am I able to wear face cream to bed while using RemZzzs? YES! Actually the manufacturer encourages the use of a cream or lotion on one's face before putting on your mask, with a RemZzzs in place. It will aid in keeping the liner in place, as well as promote healthier facial skin. The face cream will not interfere with the mask's silicone cushion, since the liner is a barrier between your face & the mask. Can I wash and dry RemZzzs? Attempting to wash or dry will shrink & curl RemZzzs, diminishing its absorption qualities and eliminating its effectiveness. What if I wrinkle my facial liners? Can I iron RemZzzs? Applying heat from an iron will flatten the fibers and diminish its absorption abilities. If you have trouble with wrinkling, do your best to position the liner as flat as possible on the mask cushion. Once you fasten the mask in place, the liner should smooth out. If you've already fastened the mask in place and wrinkling is still a concern, adjusting RemZzzs by pulling on the protruding edges may decrease wrinkling as well. After I've fastened RemZzzs in place, the edges curl. Is this ok? RemZzzs are very delicate and it's very common for the edges to curl. Curling does not affect performance. The liner seems kind of wide. Is it supposed to stick out around the edges of my mask? Definitely. In order to offer the highest comfort, RemZzzs will extend about a 1/2 to 3/4 of an inch beyond your mask cushion's edge. 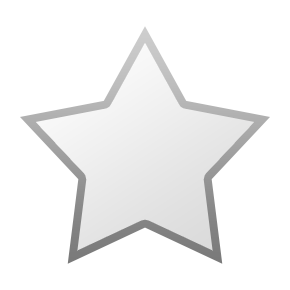 These edges also help to adjust RemZzzs once your mask has been fastened in place. The oval-shaped center hole looks pretty small? It's actually like that on purpose. RemZzzs is designed to stretch around your nose and mouth in order to provide a custom fit. Once you position your face into the liner (while it lays on top of your mask) and fasten the straps into place, you can adjust RemZzzs by pulling outward on the protruding edges. The manufacturer does not recommend cutting the center hole to make it larger. Will RemZzzs still work if I have facial hair? Yes, absolutely! In our studies, beards or mustaches do not seem to interfere with the effectiveness of RemZzzs. Fisher & Paykel Masks:For FlexiFit 431, FlexiFit 432, Forma, and similar choose RemZzzs K4-FS Small, K5-FM Medium, and K6-FL Large. For F&P Simplus and similar choose RemZzzs K1-FS Small, K2-FM Medium, and K3-FL Large. Hans Rudolph Masks:For Hans Rudolph 7600 V2, and similar choose Fisher & Paykel liners and sizes as specified above. Philips Respironics Masks:For Amara, ComfortFull 2, ComfortGel Blue Full, and similar choose RemZzzs K1-FS Petite or Small, K2-FM Medium, and K3-FL Large. For Respironics FitLife Total Face Masks choose RemZzzs 6A-FLK Small or Large, and 6B-FLK ExtraLarge. For Amara View and DreamWear Full Masks choose RemZzzs 6C-AVK. ResMed Masks:For Quattro Air, AirFit F10, Mirage Quattro, Quattro FX, Ultra Mirage Full Face, and similar choose RemZzzs K1-FS ExtraSmall or Small, K2-FM Medium, and K3-FL Large. For Mirage Liberty Masks choose RemZzzs 6D-LHK. These mask liners work great. Prior to using them I had issues getting a good seal and not causing irritation at contact areas. They are made of a material that looks similar to a tee shirt but feels smoother. I have found that the mask liners are good for 3 to 5 uses before they become too stretched out to do their job. This means a 30 pack can last 2 to 5 months which makes the price much more reasonable. I am using the liners with a Simplus full face mask without the forehead pads. The forehead pads are simply rectangles made of the same material. I do not use them as the liner allow me to keep the mask loose enough that the bar the straps connect to does not rest on my forehead. Although cpcpXchange.com was very fast getting my order to me, this product by RemZzzs has been seriously degraded by the use of an inferior fabric. 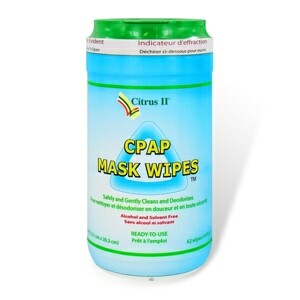 I have been using these mask liners to prevent leaks from by CPAP full face mask for several years. But now a brand new liner no longer prevents those leaks. I am very disappointed. Order was shipped quickly and as requested at a good price. These may be an extra expense but so worth it! They make mask fit without leaks and I can put moisturizer on my face too! I really like the mask liners because they make the mask fit without any gaps and they keep the mask from sticking to my face. I purchased these specifically to help with face rash and air leaks. For me it stopped the rash almost 100% however the air leaks were only helped about 75%. Everyone is different and mask fit varies. I like this product and will continue to purchase. I would also like to mention these Remzzzs are washable. I purchased a small lingerie bag (2pk) from Wal-Mart (less than $2). It works great, just lay them out to dry on a towel and shape a little. Love the liners and glad to have the cpap rash gone! As usual, I got my order within the week and exactly what I ordered. Mask liners really increase your quality of sleep. They stopped the air leaks I had been experiencing. Cpap liners work great. Finally a good nights sleep. more comfort, seal is much better! Wonderful product always had a problem with getting a seal prior to Remzzz What a wonderful restful sleep know that I can get a good seal. Thank you Remzzzs. I have an F20 full mask. Order a larger size than mask as bunches up with movement. I had spoken with rep and she had told me it would fit. Also cost is a problem. But it does ease the leakage noises. A larger size would work better. I have no more face farts so now my husband can sleep better. I just wish there was just a touch of adhesive so it would stay in place. I use mine 3 nights but 4 might be pushing it. I am hoping to find a product that I can use more than once. I think that this product gets to be too expensive. The liner just balled up and stuck inside the bottom of the mask. The seal was better the night before. Don't waste money on these for the amara view. Just useless waste. CXC Notes: We're sorry for the confusion. The product you ordered was RemZzzs Full Face Mask Liners. The product you would need for nasal mask is RemZzzs Nasal Mask Liners. They're also available on our site for a wide variety of masks. 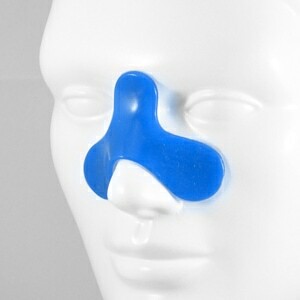 It has solved my problem with red marks around my nose and is very comfortable to wear. I no longer suffer from discomfort on my upper lip from the pressure of the mask. Couldn't wear a mask without it. I would have a serious rash reaction. It would fit my resmed f10 better if a tad smaller. Exactly as described and received very quickly. Having to use 20 words to post a review is a one star. 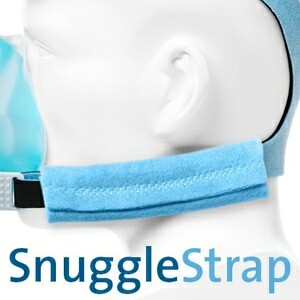 Before using this wonderful product, my CPAP mask would leak air through out the night. It was almost impossible to maintain a tight seal. But now with these liners the air leak problem is resolved. My wife and I are no longer awoken in the middle of the night because of the loud noise the leaks would make. I purchased these liners for my husband to use. However, they do not work for him. He is unable to put them on properly per the instructions. I tried two of them on him, but they did not help with the leaks. Also I was not expecting them to be so thin. These face mask liners have made a huge difference in the fit and comfort of my full-face CPAP mask. I no longer experience facial irritation or leaks or having to wake up at night to adjust my mask. I am very pleased with the success I've had using these face mask liners. the liners would work better if they had sticky tabs to keep the liner in place. What did I do before these? I have oily skin so my mask would get an oily build up through the night and start compromising the seal. Now with these, I have absolutely no problem and I was able to loosen the straps and the seal remained unbroken. I would order on size bigger than your mask but that is just me. I purchased the Remzz cpap mask liners for my husband. He was experiencing very much facial irritation...almost like a wind burn...redness, burning and skin peeling. Many nights he would not use the machine because of this and I was becoming concerned for his health because of lack of use. Since he began using the liners he has no facial irritation at all. If anyone is having similar problems I would highly recommend you try this product. VERY FEW CPAP MASK LEAKS! The mask liners are WONDERFUL. I rarely have leaks now. Recommend them. ALSO recommend buying a size larger than your mask. I tried both the medium and large. The large size was easier to work with and was much more successful! These greatly reduce bridge of nose irritation and add to mask comfort. Also eliminated leaking at higher pressures. Absolutely love the full face mask liners. My skin used to break out from the cushion of my face mask. I fought the mask all night long. Now, it can fit tighter with no irritation. I highly recommend the liners. As a 13-year hose head, I "graduated" to a BiPAP last year--pressures 23/18. Even with the AirFlex cinched down, leakage was a problem. After discovering RemZZZs on FaceBook, I ordered a sample and was sold after one night. Now, 2 months later, mask leaks are NO MORE! I'll be a user for life!! I've used remzzz for some time now and love them. Before my face would get so rashed out but the remzzz prevent that. Red marks still existed on face and face burned after wearing one night. Evidently I am allergic to the fabric used. Would not recommend to anyone with sensitive skin. put it on now I do not wake up because a small leak on the mask. Very good. The product works well and have used them for years. What else is there to say, they're great. They are WONDERFUL !!!! Gone are the previous mask leaks. A special Thank You and compliment to Carla for recommending the RemZzzs Full Face Mask Liners. I recently changed from a CPAP to a BIPAP and was having major issues with leaking, noise and bursts of air resulting in many awakenings every night. Carla returned my phone calls and emailed mask recommendations as well as the liners. While the recommended mask did not work, the liners pretty much solved the problems I was having. Things are not perfect, however, they are much improved thanks to Carla's terrific customer service. Thanks again. My mask puts lines on the side of my face so I thought this would be great. It does put a barrier up so that you could use face cream but it just feels like an old sock on my face. Sorry, I just don't really like the feel. It's like interfacing for sewing. However I may still use one once in a while. These work wonderful, I now sleep all night! I wear a total face mask, and while it does stay in place better than the nose/mouth mask, it still makes my face sweaty and then slides around. With the liners, not only do the liners keep my face dry, they also dampen any leaks I have while laying on my side. I just love them!!!!! The RemZzzs mask liners are absolutely INCREDIBLE! For the first time, wearing the mask is completely comfortable and I don't wake up with an abrasion on the bridge of my nose, looking like Keith Brooking (linebacker @ Ga. Tech & Atlanta Falcons) after a tough game. The liners take very little time to become accustomed to. Get a hand mirror for your bedside to help position the liner properly. The instructions are simple and clear. I also like the liner for the forehead, but would appreciate having more than 2 in the 30-pack. Four would be nice, one a week. After a few years of cpap use, these liners actually make wearing the mask a much more pleasant experience. What a relief! Thank you very much for a great product. love them, they keep my face from sweating & they help keep lines on my face in the morning. Liners are agood product. Help to cut down on leakage of cpap. Wife not disturbed when liner used. this product was useless for me. if not completely "stretched" to complete smoothness, the result was worse than not wearing it. i purchased the same size REMZZZ as my mask but found that it did not leave enough fabric outside of the mask to be able to easily pull on all sides to stretch it out and smooth as directed. I really like these liners. Very comfortable, helps stop leaks and I can use my skin products without the face mask slipping or sliding. They are very clean and shaped perfectly for my mask. I love them. They have helped the redness of my face immensely, especially no longer than I have used them. They also do away with air leaks. They are a great invention but may be a little pricey. They make the mask more comfortable, but are a little difficult to put the mask on without the liner slipping around. Once in place, and properly applied to the mask, they do keep the mask from irritating the skin. Thought These were a Gimmick...Was I Wrong! The liners have worked perfect for me. I'm a side sleeper and would get gaps and the liners prevent this from happening. Will be getting more, for sure. If you've had trouble with full face mask discomfort and leaking, this is a must to get. I have struggled for a year to get a good mask fit. At best, I could only get a couple of hours in before I tore the mask off. After getting the RemZzzs Full Face Mask Liners I was immediately able to wear the mask all night long. They are easy to install and comfortable. Another big plus is that the mask stays clean because it doesn't come into direct contact with your skin at any point. You will not be disappointed. I bought these mask liners because I have very delicate tender skin. The silicone on my CPAP mask made my face itch, burn, sting. When I removed the mask in the morning, the area covered by the mask was red and hot. The mask leaked constantly. The mask liners have eased the discomfort, almost stopped the leaks and I don't think I will do without them in the future. I find that I can use one liner for three nights. I have used them about a year now and have found them very helpful in keeping the mask from leaking. These liners are too thin making use of two at a time necessary to prevent mask leaks. Might you suggest another brand? They usually work well. Sometimes are difficult to "fine tune" face placement. Since they can only be used once, if you have to get up in the night they can get expensive. This product works very well and eliminates mask marks on your face and also greatly improves the seal so there are no leaks! The service is excellent with fast delivery time. This is the second time I have purchased this product. I does help the mask seal better and I can wear my moisturizer and still get a good nights sleep. They do take some getting used to but they help keep the mask from marking my face and keep my nose from hurting from the pressure. I really like these liners. It has helped in preventing air leakage from around the mask. I only wish that they would develop something similar that would hold it's shape, last more than one possibly two uses and could be put in laundry to reuse to make it more environmentally friendly. When I opened the package I was surprised and figured disappointment would ensue. But, they work! Much less leakage and the bridge of my nose is far less irritated. Also, the mask pad is a lot easier to clean. Not crazy about the forehead pad as it's not thick enough for alleviating the pressure for me (I still use paper towel) but the mask pads are great. The liners are only good for one night. They curl as soon as I remove one from the bag. It's not humidity, I live in Scottsdale, AZ. RemZzzs make sleeping with a full face mask much more comfortable. No mask slippage and no slipping up and leaking air into my eyes. I actually order the large size a cut a small slit in the bottom to hold the material in place with the bottom mask clip. These are fantastic. I have very sensitive skin and when I first tried on a mask, the seal felt so weird that I didn't think I would be able to wear it. RemZzzs were suggested to make it feel better. They are fantastic. They feel like a soft t-shirt on my face instead of the ucky silicone/plastic feel. Now that I am more used to using the cpap mask, I have tried wearing it without the RemZzzs but just can't last more than a minute or two. I really feel that without them I would not be able to continue with cpap therapy. I have tried to save money by reusing them. I can actually use each one for a couple of days. I've tried washing and ironing them - doesn't work too well as they stretch out. What has helped is taking them off in the morning and laying them flat with something heavy like a book on them to flatten them out for the next night. Or I just leave it on the seal during the day for that night. I have very dry skin and these work great at keeping a barrier between my skin and the mask. They also work great for helping with mask leaks. I am still learning to use them but can say that the liners reduce air leakage around my eyes which was a major irritant for me. These liners have helped--especially in eliminating noisy, flatulent leaks. They allow very low-level leaks, which I can tolerate. RemZzzs are thin pieces of cloth that fit between the mask gasket and your face. They are shaped something like toilet seat protectors, and are easy to apply. RemZzzs are especially effective with full-face masks, since there is no way that the larger mask can properly fit all of the contours of the average face. The product completely stops annoying "mask farts," and prevents the painful dry eye I used to get from air escaping around my eyes. A very effective product! I love these liners! No more air leaking and no more red marks and skin irritation from my mask. What a difference! This is my first time buying this product. I Love them, they are comfortable and my mask does not move on my face at night. I have been fighting some skin issues from my mask prior to buying Remzzzs. My skin on my face is better already. I don't think I will wear my mask any more with out the Remzzzs Full Face Mask liners. Ordering was Simple and easy as pie. These liners are sooo much more comfortable than the bare masque. I love these little liners. I was waking up several times a night because of mask leaks but as a result of using Remzzzs I can sleep the whole night without interruption. What a difference a good night's sleep makes. I can use one liner 3 or 4 nights. I've heard that some people wash and even iron them but the fabric does stretch out so I don't do this. I've seen a comment online about the cloth being rough but I do not find it so. I find it soft and comfortable. I find them totally worth the price. Too hard to use. Needs some kind of none intrusive sticky to addhere to silicone. Before when air would escape from the side of my mask, even the dog would raise her head and look at me. I knew it was distrubing my husband, not to mention it would wake me. Now with the liners, no air escapes! Plus the liners mean real comfort and less lines on the face in the mornings! Buy them. You will be happy too!